Pityrogramma (pityro, scurf or loose scales, and gramma, line, in reference to the lines of sporangia under the powdery scales on the frond's lower surface) is a genus of 16 to 20 species (as currently revised) and is primarily distributed in the Americas. 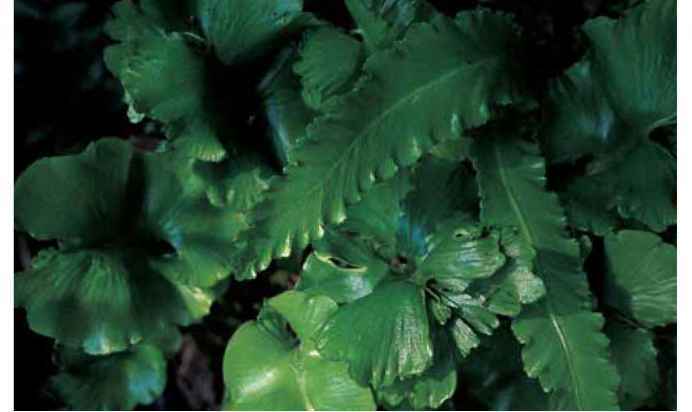 Pityrogramma calomelanos (calo, beautiful, and melano, black or dark) is probably the greatest of those louche and contemptible, noble and indispensable species, the weed ferns of the world. There are only a few of these worldwide, and these few are mostly national or even more local in habitat. Rolled frond tips of Phyllitis scolopendrium 'Peraferens'. 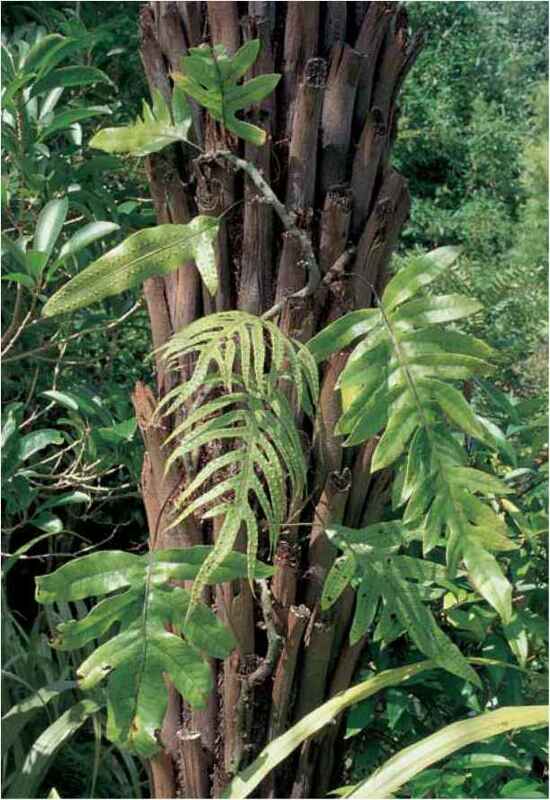 Juvenile and adult stages of Phymatosorus diversifolius growing on the trunk of Cyathea dealbata. Photo by George Schenk. A cloak of Pityrogramma calomelanos covers a dry stone wall. 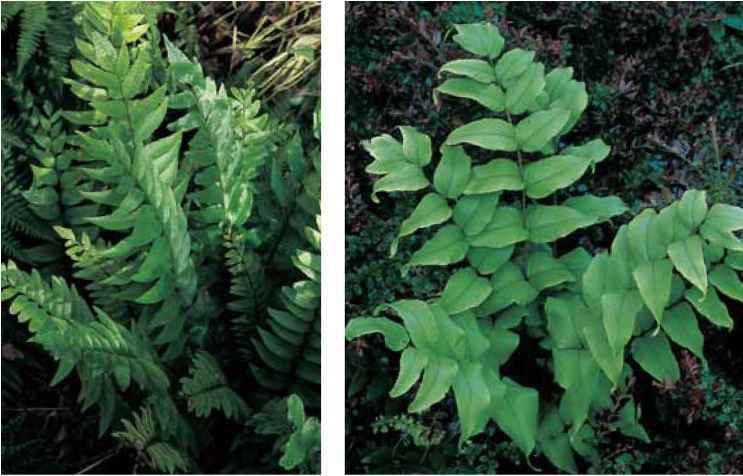 The fern fabric is made up of dozens of self-sown sporelings. 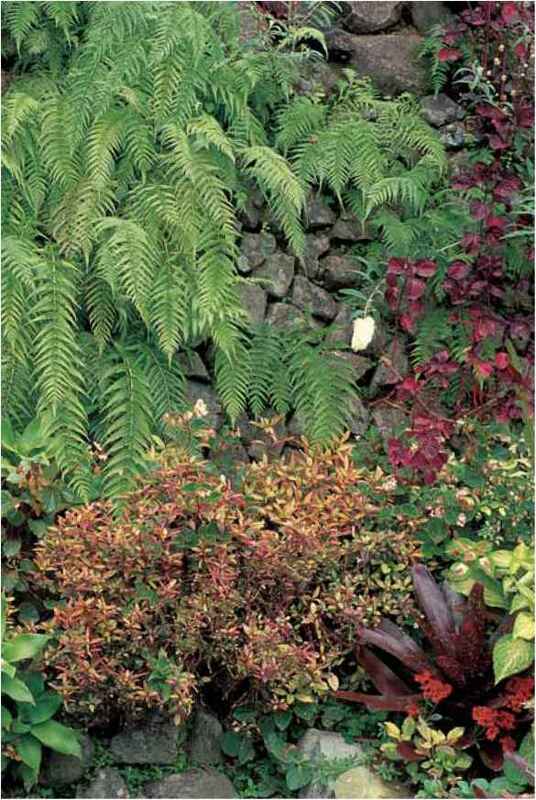 Companion plants include Alternanthera ficoidea (at bottom), a red-leafed Neoregelia (lower right), Iresine herbstii (upper right), and white-flowered Buddleia davidii (center). Photo by George Schenk.